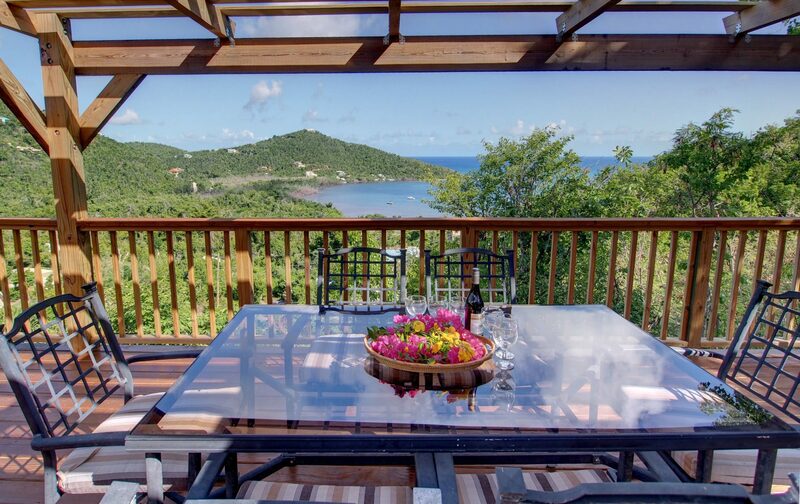 Welcome to Southern Exposure, a private vacation villa on sunny St. John, in the U.S. Virgin Islands! Please allow us to show you how pleasant your vacation in paradise can be by making Southern Exposure your island home away from home. See what so many before you have enjoyed here: an affordable retreat in a gorgeous setting, with all the comforts of home, that at least for a little while, will melt your cares and worries away. Click here for our Hurricane Irma update. Enjoy down island views of Fish Bay from the deck of Southern Exposure. Use this site to learn more ABOUT Southern Exposure… to view PHOTOS of our home and its lovely Caribbean views… and to read some of the actual GUEST COMMENTS left by our many previous guests. Owner Mark Shekleton and his team at Seaview Homes will be happy to share their vast island knowledge with you. They’re on-island experts who’ve spent the last 25 years helping folks like you make your visit the trip of a lifetime. Don’t spend another day just dreaming of a tropical paradise vacation — make it happen! Call the friendly folks at Seaview Homes today, and tell them you’d like to see yourself at Southern Exposure soon! They’re friendly, knowledgeable, accommodating and easy to work with. Call Mark today! View from the outdoor dining area back to the main house (pool wall is at left). You’ll enjoy Southern Exposure’s huge deck and magnificent valley and bay views day and night. Cruz Bay, St. John Webcam Sitting on the dock of the bay… in Cruz Bay! Click the link and you’re almost there! Seaview Homes To book your dream vacation at Southern Exposure, contact the friendly team team at Seaview Homes.